A popular and easy way of doing it would be to through downloading and installing Anaconda. 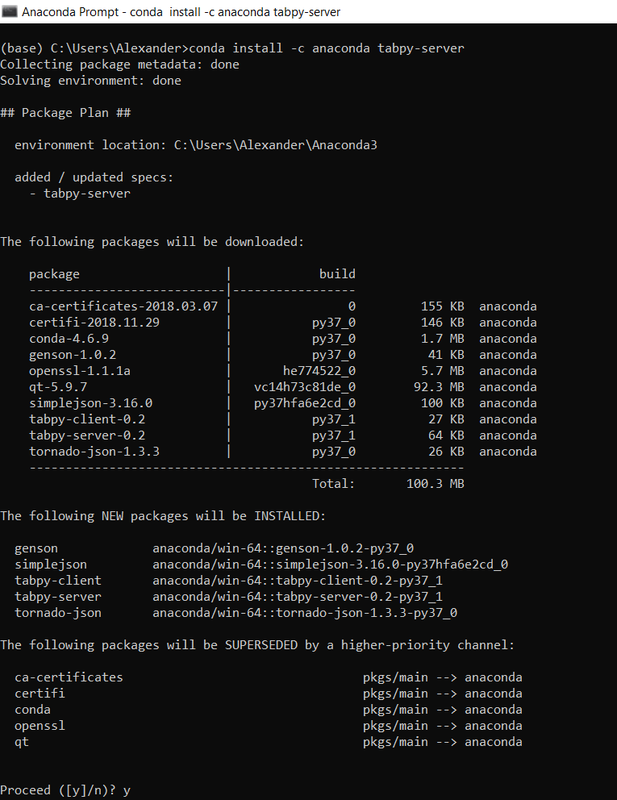 conda install -c anaconda tabpy-server then hitting enter. You then type y and hit enter when it asks if you want to proceed. Here is how that looks like. 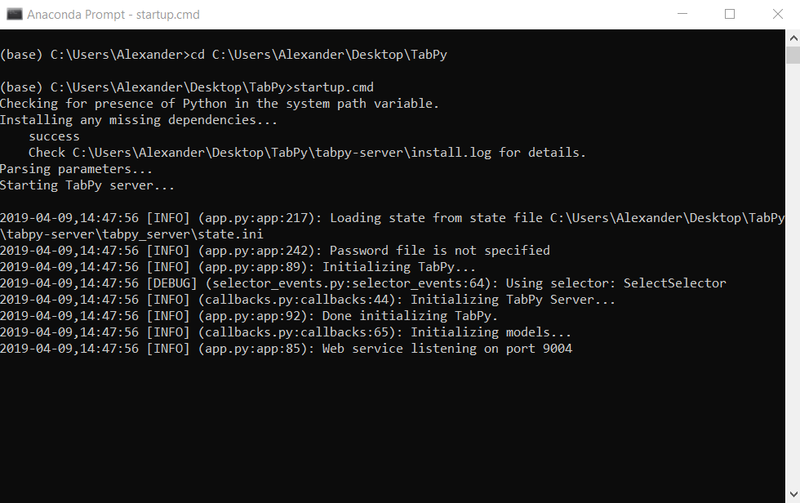 To do this we’ll want to open up Anaconda prompt and navigate to where you downloaded the TabPy files. Then in Anaconda promt you would want to type cd (cd is short for change directory) then your location and hit enter. Finally would want to type startup.cmd and hit enter. 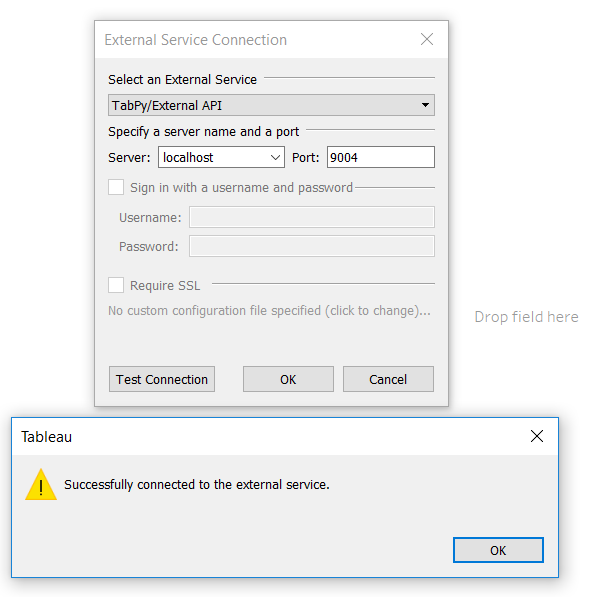 You can now minimize this window but don’t close it until you’re finished using TabPy in Tableau. Finally you would want to type startup.bat and hit enter. 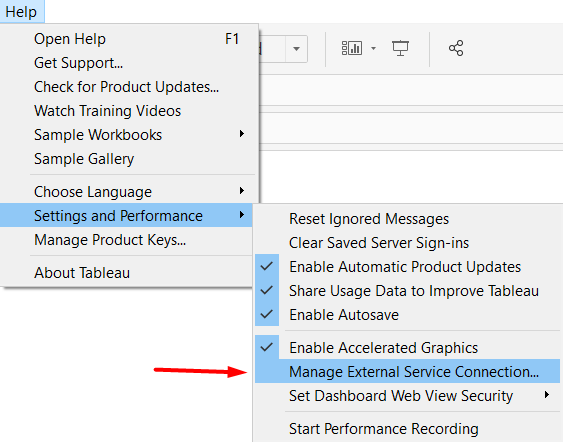 If when you click “Test Connection” you get the message “Successfully connected to the external service.” then congratulations! 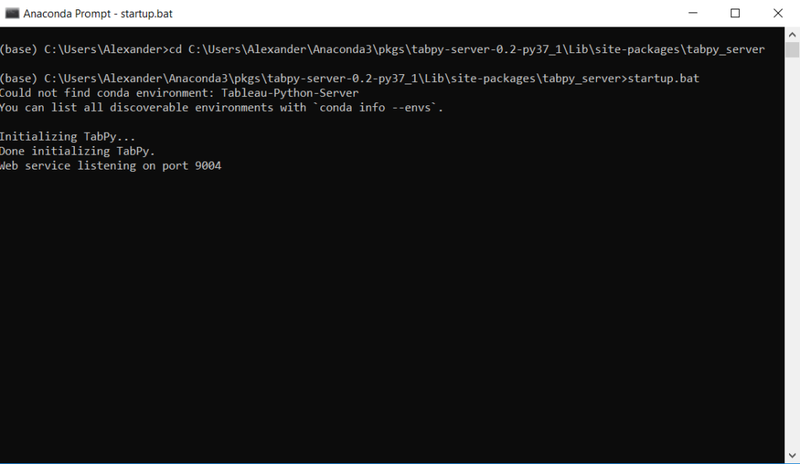 You are ready to use Python in Tableau.